Keep track of all customers and suppliers using the Companies Module. Learn about creating new customer or supplier records here. Learn how to search for a customer or supplier record here. 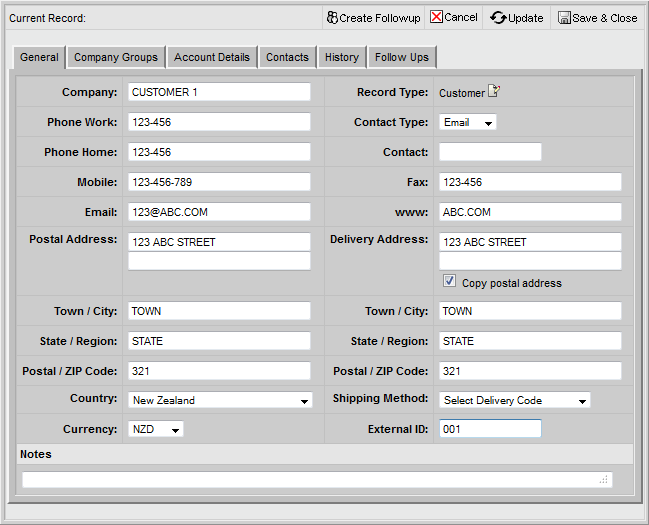 Learn how to delete customer or supplier record here.